A big part of the Memoir 44 attraction is the visual appeal, which is certainly enhanced by these maps. 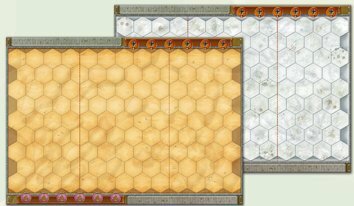 This is an expansion map for Memoir '44 - it provides a beautiful board to use with the Eastern Front/Mediterranian Theater expansions. One of the great things about Memoir '44 is that is looks very attractive when setup and bystanders in - and this expansion map certainly helps to do just that.